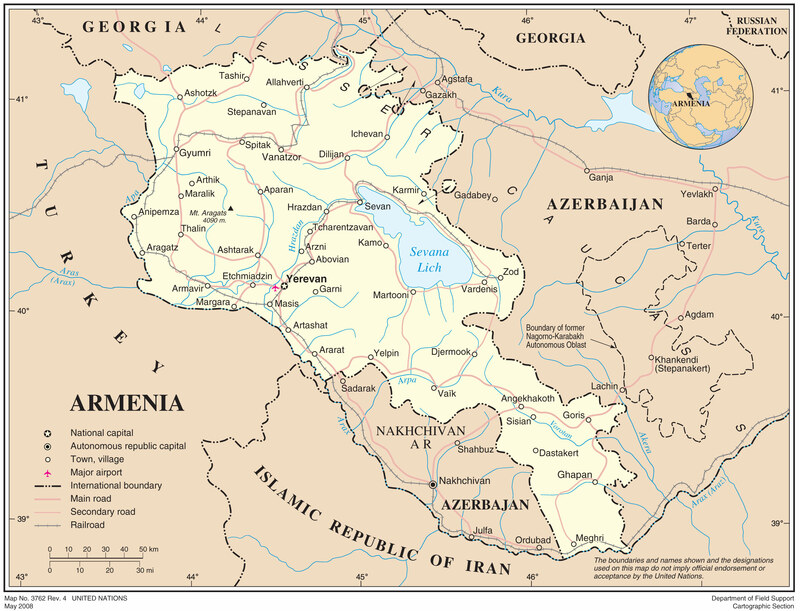 Armenia (in Armenian : Հայաստան, Hayastan, the Հայք Hayq), officially the Republic of Armenia, is a country Eurasian, landlocked, located in the Caucasus south. It borders on the west by Turkey, on the north by Georgia, east by Azerbaijan and south by Iran and the enclave Azerbaijan to Nakhichevan . Armenia is a former republic Soviet, a unitary, multiparty and democratic rooted in one of the oldest civilizations in the world. Endowed with a rich cultural heritage, stood out as the first nation to adopt Christianity as official religion in the early fourth century (the traditional date is 301). Although Armenia is a constitutional state secular, the Christian faith plays an important role in their history and identity of the Armenian people .